A good EXERCISE is a good run up and down the staircase. 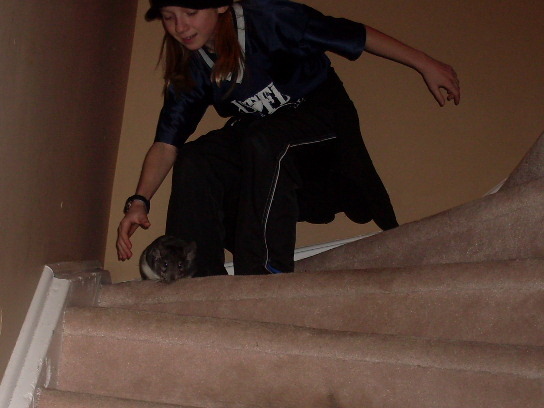 Make sure that someone is at the bottom and top of the stairs. (Or, you at the top and the other person at the bottom.) Keep all danger zones blocked. Chase your chinchilla up and down the stairs. This exercise is good for both you and your chinchilla! 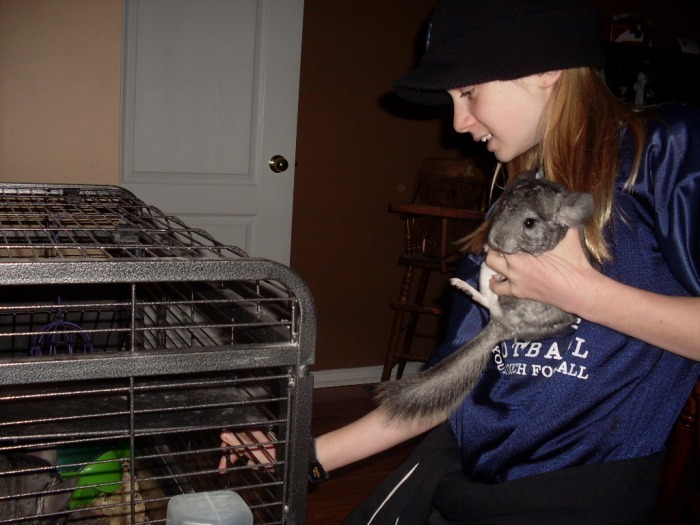 While cleaning the cage, you have to let your chinchilla run around. NOT the whole house. Let him run freely in an open area- keep boundaries blocked by pillows, blankets and chairs. If you have a small un-packed room, you can let your chinchilla run around in there! But beware of poop! 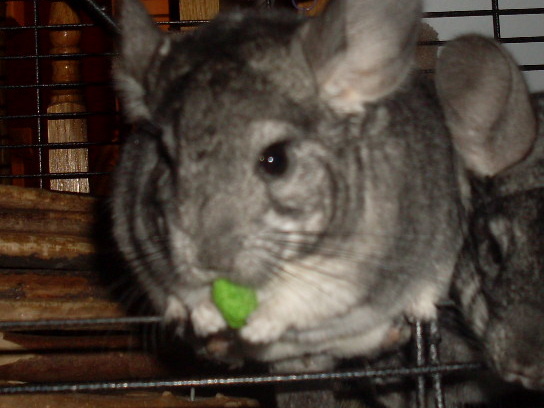 A good way to train your chinchilla is to use treats. In the picture I am holding a little green treat hovered above the chinchillas head. When he/she gets to the treat, you may give it to him/her. 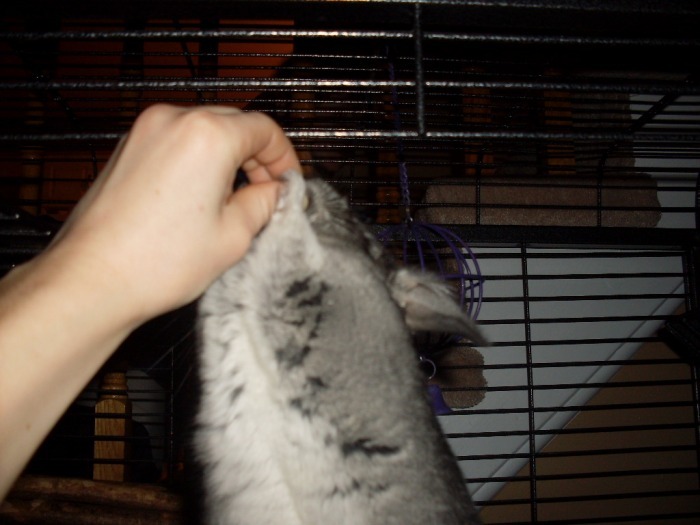 You may also try putting a treat on your hand a few inches away from the cage opening and let your chinchilla jump in to your hand! 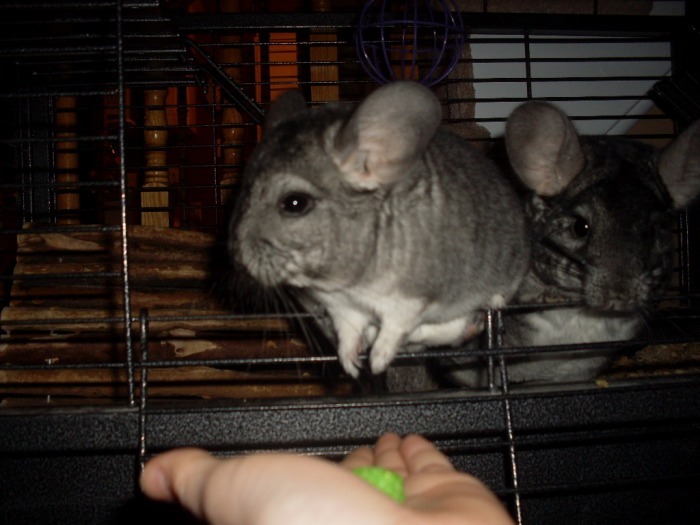 Some Chinchillas aren't the obedient type. Don't scare them by trying to train them- it could be bad for there health.